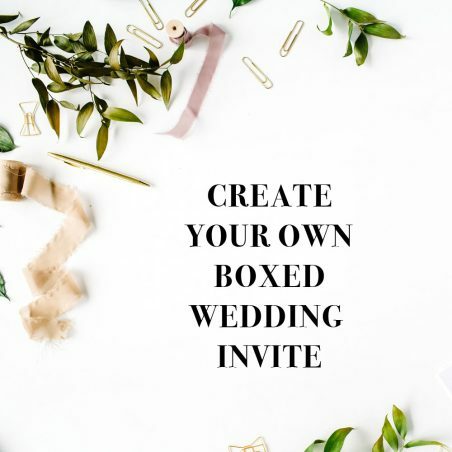 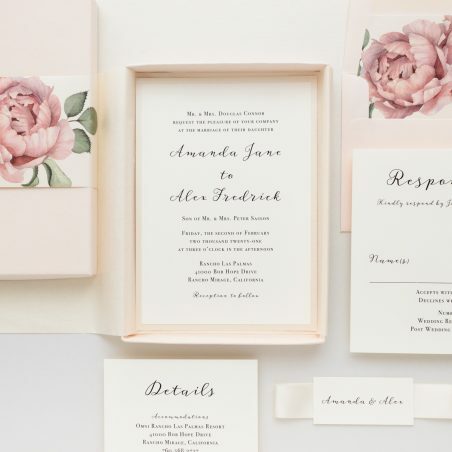 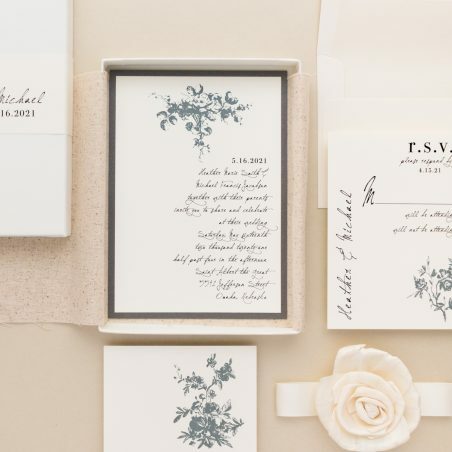 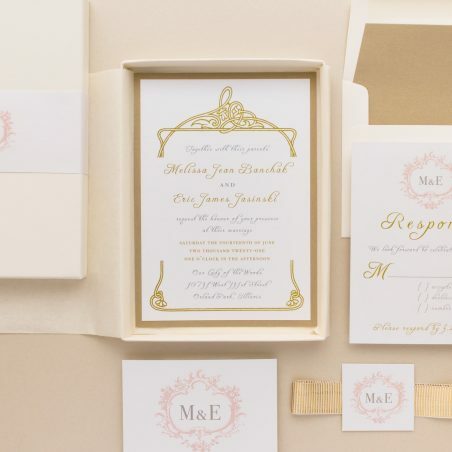 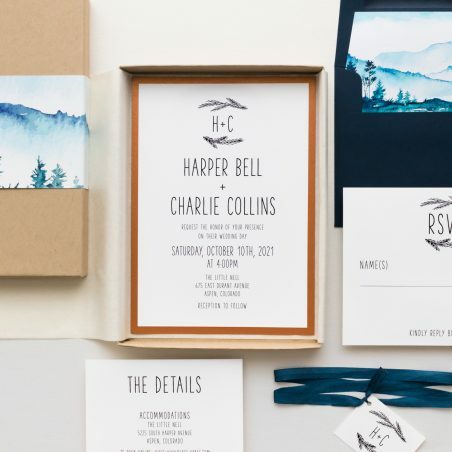 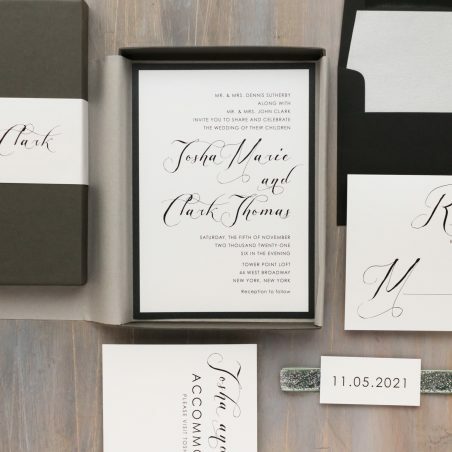 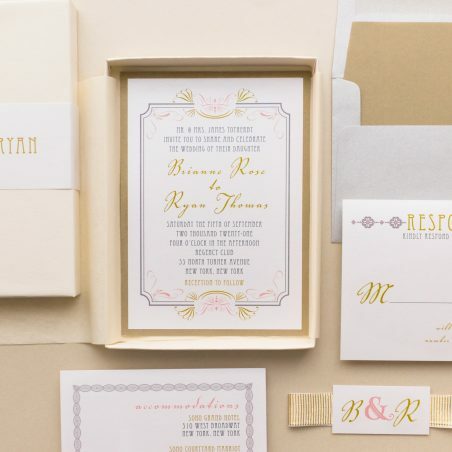 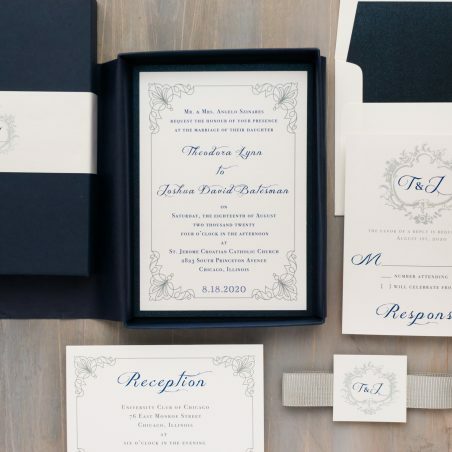 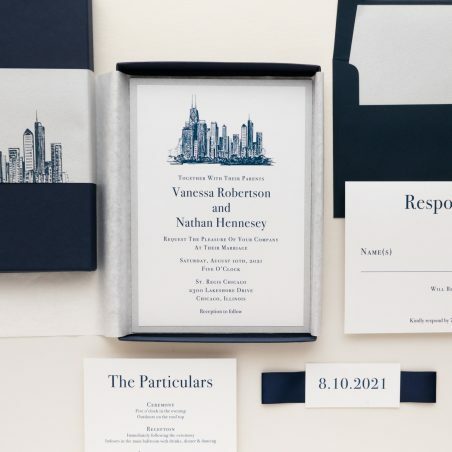 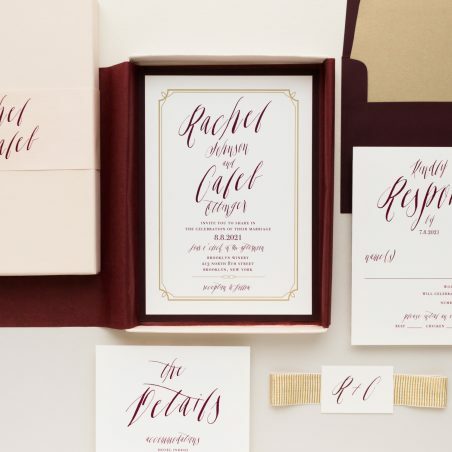 If you are looking for a step up from the traditional invitation, see our unique boxed wedding invitations! 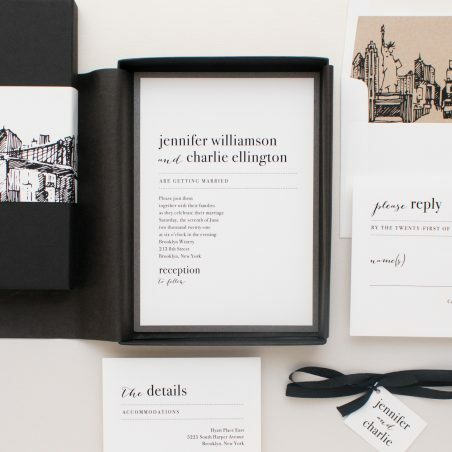 Every set includes full assembly, postage on the rsvp envelope, and guest addressing. 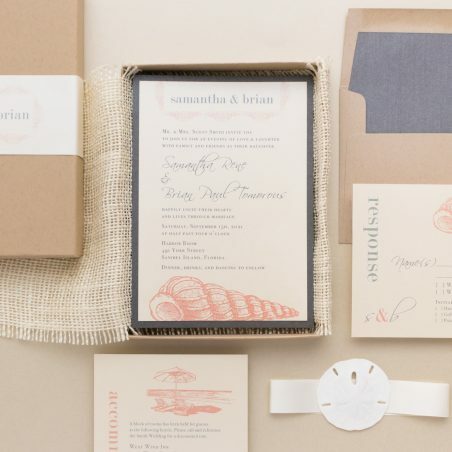 We take a bundled invite, wrap it in tissue, burlap or linen, place it in a box and then wrap it like a gift! 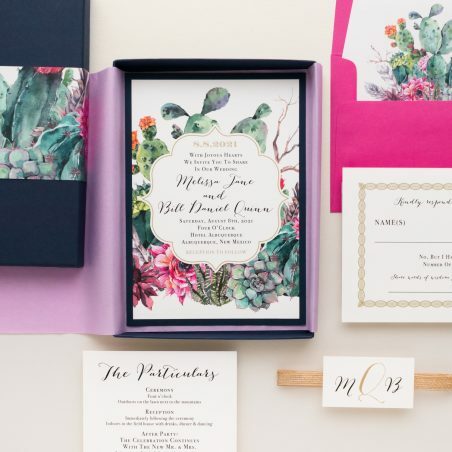 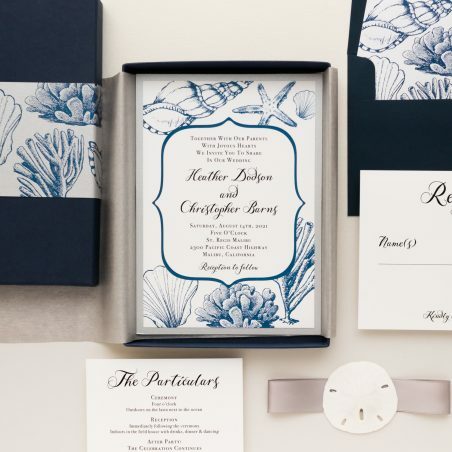 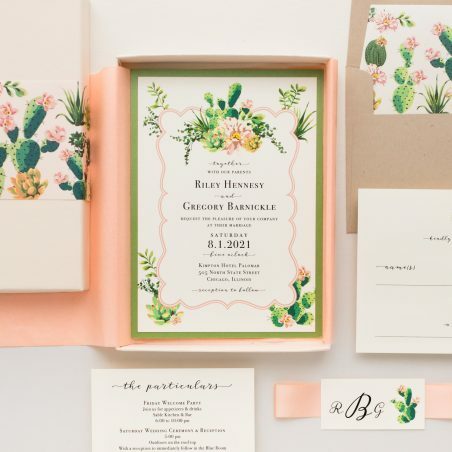 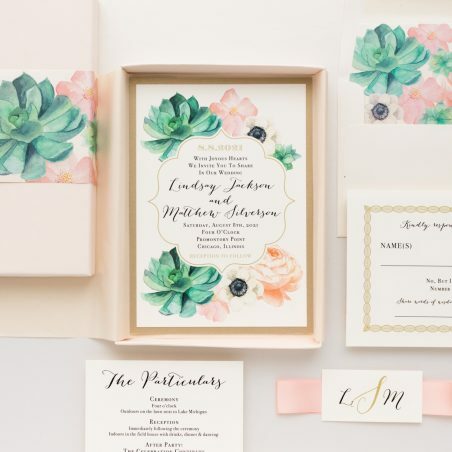 Unique themes include: cactus, desert, succulent, pineapple, and tropical Traditional, classic, simple and modern wedding invitation styles are also available.